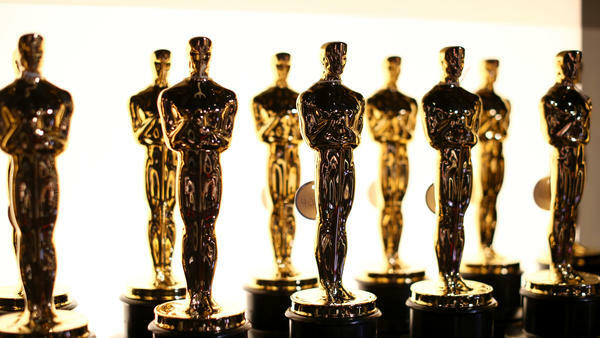 The Academy of Motion Picture Arts and Sciences announced a new Oscar category today. Starting with the 2019 awards, which will honor movies released this year, there will be a prize for outstanding achievement in popular film. The Academy also announced other changes to its telecast, like keeping it to a trim three hours. And here to talk about this with us for a trim three minutes is NPR's Glen Weldon. Hi, Glen. GLEN WELDON, BYLINE: Hey, Ari. SHAPIRO: Why do we need a new category for popular movies? WELDON: We don't really, but the Academy does. The Academy is interested in eyeballs. All three of the changes that they introduced today are about getting more people to watch the telecast, which is a little surprising. Why does the Academy care about that? Because at least some portion of their operating expenses comes from selling TV rights to that broadcast. SHAPIRO: And the last Oscars were, like, the least watched of all time or something like that. WELDON: ...Still pretty good but about 20 percent down from the previous year. So they're worried, and they want more people to watch. And they want the people who love popular movies - like, say, "Black Panther" - to watch the telecast and have a rooted interest. SHAPIRO: Except "Black Panther" is an interesting example 'cause I think many people expect it to be nominated for - I don't know - normal Oscars, like best picture maybe. So what's the difference between most popular movie and, like, best picture? WELDON: Well, that's the thing. Whatever they do, it's going to be seen as an also-ran - whoever is nominated for this category. And what does popular mean? Are they going by box office numbers? Because, yes, there's a very good chance that "Black Panther" - it's a great movie - could be nominated. But I think they're trying to account for the fact that it might not be. SHAPIRO: So there's going to be 10 best picture nominees, plus most popular film or whatever they're calling it (laughter) nominees. There's going to be a lot of love, but it's not all going to make the telecast. WELDON: ...Which means that they're going to keep giving out awards during the commercials. And they haven't said which categories they're going to shunt to the commercials. SHAPIRO: But you can guess - the less popular ones. WELDON: ...Managing your family's expectations 'cause you're probably going to get shunted to the commercials. SHAPIRO: But if you're sitting in the Dolby Theatre, it's just going to look like one big show. Some of the show will just be during the commercials then. WELDON: And they will edit those speeches and slip them into the broadcast at some point. SHAPIRO: Can you give me an example of a film that might be in the running for a popular movie that would never even be considered for one of the other Oscar categories? WELDON: Let's see. "The Avengers" films, for example. Now, they're a quality film. They do exactly what they set out to do. It's not the kind of thing that the Academy has historically awarded. SHAPIRO: Or I recently saw "Mamma Mia! Here We Go Again." Probably not likely to get honored at the Oscars, but maybe in the popular film category. WELDON: ...'Cause it's a great, fun movie. But, no, it's exactly the kind of thing that the Academy would snub. And a lot of people wouldn't even consider it snubbing. They would consider it rightly ignored. But, yeah, this is an attempt to account for that. It does feel a little cynical. It does feel pandering, but this is the way of the world. SHAPIRO: What is Hollywood if not cynical and pandering? SHAPIRO: That's Glen Weldon of NPR's Pop Culture Happy Hour podcast. Thanks a lot. WELDON: It was an honor just to be nominated. (SOUNDBITE OF HARRY EDISON, BOB ENEVOLDSEN, HERB GELLER AND LORRAINE GELLER'S "HOORAY FOR HOLLYWOOD") Transcript provided by NPR, Copyright NPR.